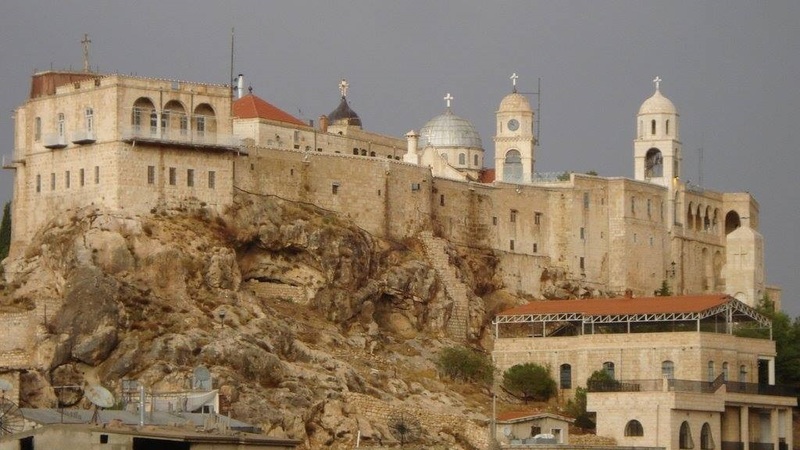 Damascus – After Maalula , now Sednaya, a village in the north of Damascus, known for its historical, cultural and religious heritage, characterized by a large presence of Christian churches and monasteries and a local community that speaks even Aramaic. As Fides learns, the village is under constant threat of Islamist militias from Yabroud and the Lebanese mountain, that organize raids and blitz to terrorize the civilian population. In past days there were the first clashes and a Catholic man died. In yesterday’s raid a person died and one person was wounded among the local Christians. A religious from Sednaya , who requested anonymity, told Fides that “this is banditry but it is also a vendetta against Christians. We would not want to give a meaning to these acts of religious persecution, but they are targeted attacks that have the effect of creating confusion and fear among civilians”. The tactic of armed gangs now is sudden raids that create terror among the civilian population, resulting in an exodus. “Today the people of sednaya are afraid of having the same fate as Maalula”, concludes the priest.The civilians from Maalula, meanwhile, all displaced persons in Damascus, have formed a “Committee”. One of the representatives of the Committee explains to Fides: “We appeal strongly to the international community. Nobody helps us, Islamic radicalism is becoming more discriminatory. We feel unprotected. No one does anything to prevent these human right abuses: we ask the UN Commission in Geneva to intervene”. Christians feel in danger: in fact, given the thousands of Syrian armed gangs spread throughout the country, it is virtually impossible to protect them. Meanwhile, “among the Syrian Christians, who are more and more vulnerable, there is a spiritual awakening, a renewed impetus in faith, prayer and interfaith closeness”, says to Fides Sister Carmel, who assists the displaced people in Damascus. “In the extreme suffering and on the example of the martyrs, such as Fr. Murad or the young Sarkis from Maalula, we are finding a more dense, deep and unitive faith”, says the Catholic religious. Christians are reluctant to taking up arms, even for defense, and religious leaders continue to stress this point. They repudiate the logic of a sectarian conflict but in different places, small popular committees are being formed to prevent violence. This is what is happening, for example, in the so-called “Valley of the Christians” , in western Syria, a historical stronghold of the Syrian Christians. In the valley there are over 50 Christian villages, with 100 thousand faithful, where more than 200 thousand refugees have been added. Even these villages suffer incursions by armed groups. This entry was posted in +AAArchive, Christian Martyrs, Christians, Crimes against humanity, Jabhat al-Nusra, Jihadists, Seydnaya, Takfiri militant, Takfiri terrorists, Terrorist attack, Terrorists, War Criminals, War on Syria and tagged Armed Terrorists, Christians in Syria, Conspiracy, Damascus, Middle East, Padre Nader Jbeil, Santuario Mariano, Seydnaya, Syria, SyrianFreePress, Terrorist attack, Terrorists, Terrorists Gangs by syrianetwork. Bookmark the permalink.